When you become a resident of Parkview at Collingswood Apartment Homes, you can rest easy knowing your studio, one, two, or three bedroom apartment has passed the Morgan Properties 101-point inspection. We pride ourselves on offering exceptional customer service, and you’ll be able to feel the difference as soon as you move in. And should you need them, our 24-hour emergency maintenance team is always ready to assist. 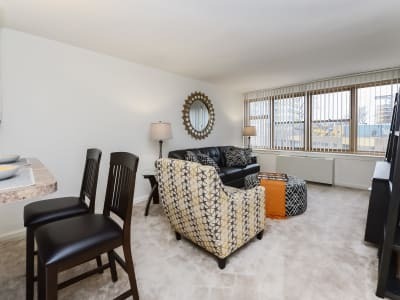 Whether you choose a studio, one, two, or three bedroom floor plan, your new apartment at Parkview at Collingswood Apartment Homes has everything you need to feel at home, right away. Prepare a delicious dinner in your fully equipped kitchen, and depending on the floor plan you choose, enjoy it in your separate dining room, at your breakfast bar or large, private balcony. Ceiling fans in the bedrooms keep your home’s temperature comfortable year-round, and spacious closets help your wardrobe stay organized. Select homes feature luxurious upgrades like renovated kitchens. 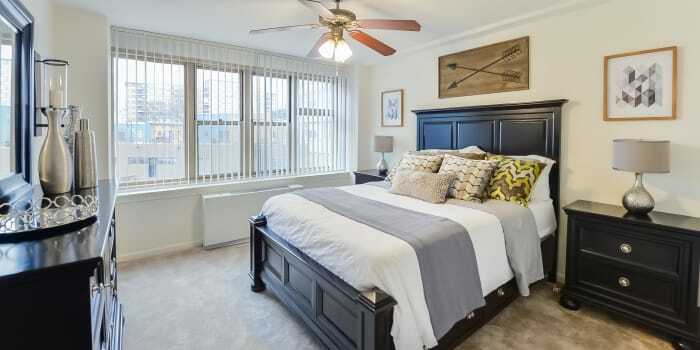 You can even choose a home with French doors that open to a large terrace with treetop views of the surrounding area and Center City. Come see our incredible apartments for rent in Collingswood, New Jersey. Schedule a tour of our studio, one, two, and three bedroom apartments today.